Well, here we go again. January has again rolled around and, once more...the nation is being force-fed yet another “celebration” of the birthday of revolutionary agitator, demagogue, Marxist sympathizer, plagiarist, whoremonger, and phony “Reverend” Martin Luther King, Jr! Yes...it is nauseating, to say the least, that an individual of such dubious and infamous characteristics has become elevated and exalted to the status of virtual sainthood. King’s FBI file had to be hidden and put under lock and key in order for the holiday in his honor to be officially ushered into the mainstream of American life in 1983, when Ronald Reagan signed it into law. Had the file not been sealed for fifty years...there would have never been a MLK Day, plain and simple. 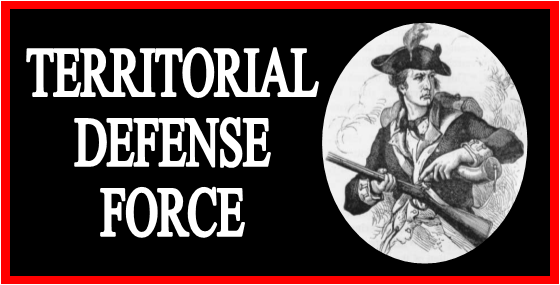 In other words...in all too typical fashion...treachery and deception were skillfully employed in order to bring about social engineering objectives designed to render America more suitable for assimilation into the emerging new world order. Tragically, a large percentage of America’s population has bought into the MLK farce...hook, line and sinker! Young people, in particular, are inclined to venerate the 1960’s civil rights legend who was cut down by an assassin’s bullet on April 4, 1968 as he stood on the balcony of his room at the Lorraine Motel in Memphis, Tennessee. The official story is that James Earl Ray was the trigger man...and the average, ignorant American doesn’t bother to question the veracity of this assertion. Interesting, however, is the fact that Ray never had a trial and consistently maintained his innocence until the day he died in state prison on April 23, 1998. By the time Ray did pass away, while in custodial detention, even the King family was publically on record as believing the wrong man had been implicated and adjudicated guilty in the murder of the enigmatic black icon. The civil rights movement was part of a larger agenda, whose overarching purpose was to destabilize the nation and pave the way for the supplanting and dispossession of the overwhelmingly dominant white race. After all...it was the racial ancestors of the 1960’s American white supermajority...who had built and established what was routinely recognized as the greatest nation in world history. Since the end of slavery in the aftermath of the War Between the States, blacks in America had languished in varying stages and degrees of awkward instability. Very few among their number had been interested in efforts to repatriate them to Africa...a proposed solution favored by a significant plurality of towering, historical, Caucasian figures, including none other than Abraham Lincoln himself! 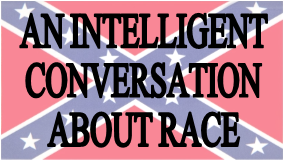 While Americans of yesteryear had no trouble recognizing that wide disparities separated the different races of mankind in general...and the white and black races most specifically, all sensible whites understood that the two races could never coexist on a footing or basis of equality and cultural compatibility. Throughout the centuries of time...blacks had occupied the African continent in a manner conspicuously devoid of even the most basic measure of refined culture and advanced civilization. Once plucked from their ancestral homeland, after being sold into servitude by their fellow African kinsmen, they came to recognize and understand that fate had ultimately delivered them to far more favorable conditions and circumstances...albeit through the objectionable, yet long practiced institution of slavery. In the immediate aftermath of the fratricidal hostilities that have come to be inaccurately referred to as the Civil War...a form of brutal and vengeful repression was imposed upon the states that had comprised the confederacy. White men who had fought in the conflict were disenfranchised while, simultaneously, legions of Northern carpet baggers and scalawags moved in to exploit the militarily vanquished Southern nation. Freed black slaves served as ready-made pawns on the chessboard...as the more opportunistic among them were allowed to occupy positions in what were emerging as majority black state legislatures. 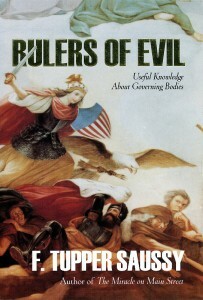 Chaos and mayhem rapidly became the order of the day and it eventually became necessary for white, Southern men to establish a modicum of order through clandestine, vigilante-type activity. Once this phenomenon successfully ran its course, the South settled into a compromised arrangement of co-existence with the national government and the Northern states. As this process was outworked, blacks were essentially maneuvered into a substantially segregated modality of existence that enabled them to maintain their own traditions and social constructs. They had now become irreversibly changed by the culture, religion, and civilization of the white race...yet remained distinctly bound to their own unique racial proclivities and characteristics. For the duration of time that they remained a numerically miniscule minority...blacks in America seemingly constituted little threat to the institutions of Western Christian civilization as were epitomized in an America that was steadily evolving into the world’s preeminent nation state. As the decades unfolded, however, there were growing currents of discontentment among non-white American inhabitants. These escalating trends eventually led to what became known as the Civil Rights Movement as blacks, in particular, began to agitate for so-called “equality” in their own expression of the American experience. Such social and policy shifts, of course, could only be induced via the coercive power of the state...and such was exactly the force brought to bear on an otherwise completely uncooperative and disinterested white population. In what has become an all too typical occurrence...America’s white supermajority failed in miserable fashion to recognize the threat to their well-being and survival that was embodied in the usurpatious actions of the federal government during the 1950’s and 1960’s. 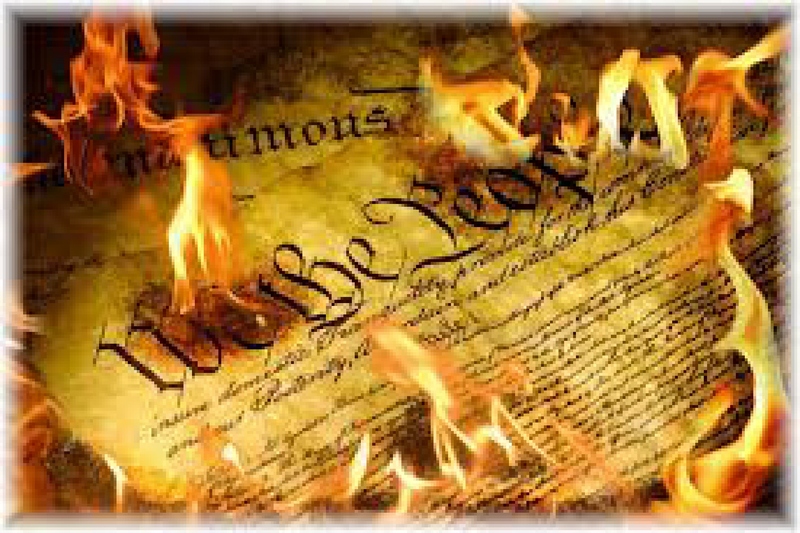 Eventually, states’ rights (as specifically enumerated in the Ninth and Tenth Amendments of the Bill of Rights) were completely eviscerated in the name of the forceful establishment of supposed equality between black and white Americans. A crucial component of the social engineering blueprint of the time assumed the form of ostensible “immigration reform.” Legislation imposed in the mid-1960’s had completely reversed immigration policies that had prevailed since the founding of the republic. For almost 200 years the law required at least 85% of newly transplanted citizens to be of the Caucasian race. After 1965, 85% were mandated to be non-white! The result of this policy sea change...coupled with the new and burgeoning development of illegal immigration...was the subsequent influx of 70 million non-whites into America...a number sufficient to reduce the white population from an 85-90% supermajority status to the barely 60% they currently number! 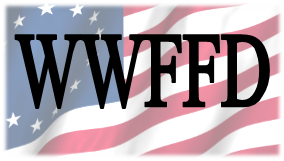 Now...of course...white Americans are required to walk on egg shells...lest they offend any of the profuse number of non-whites who have been artificially elevated to an exalted, legally favored status by the subversive policies enacted by treasonous, oath-breaking political hacks. 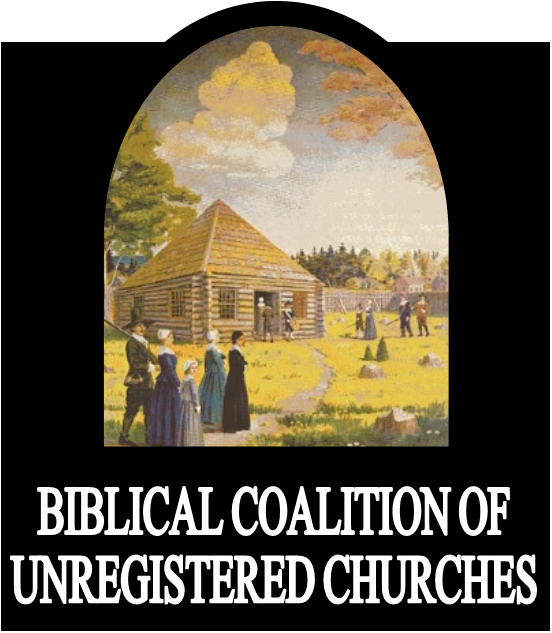 All the while...an escalating chorus of disinformation puts forth the notion that Caucasian Americans are somehow in possession of undeserved assets and benefits that have accrued to them as a result of so-called “white privilege.” The fact of the matter happens to be that white Americans enjoy a Biblically established birthright to an inheritance bequeathed to them by their own racial ancestors...men and women who made inordinate sacrifices in pursuit of religious liberty and the ability to exist in accordance with the law of God as set forth in scripture. Those principled white ancestors of ours built a great and prosperous nation and proceeded to transfer those same blessings to their own posterity. The ancestors of the legions of non-whites who presently crowd our nation did the very opposite in their own respective undertakings. 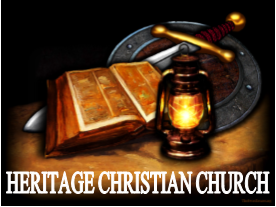 Pagan idolatry and the worshipping of the creation instead of the Creator have been the ongoing tendency of the non-white peoples of the earth...and their reward has been consistent with pronouncements of God’s punishments and judgments. And now...those who possess no lawful claim to America’s bounty and blessings are demanding and taking by force, an inheritance that is not theirs! Sadly...we now have a generation of young whites who have been effectively, if not completely, brainwashed into believing the mythology surrounding scoundrels such as Martin Luther King, Jr. These self-loathing, white-guilt-laden millennials are hopelessly ensnared by the steady stream of sophisticated propaganda that has been designed to induce them to become traitors against their own extended racial family. Yes...the dreadful sin of betrayal is what our race has come to be marked by...and it certainly behooves us to contemplate where the net result of our failures and irresponsibilities might be leading us to as a dwindling and weakening race of people! 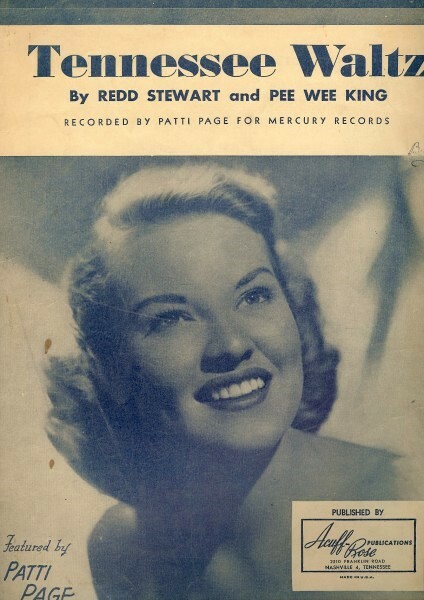 As we continue to develop this theme of how betrayal is helping to hasten our own destruction...let us now talk about Tennessee Waltz, a hit 1946 song popularized by Patti Page. Many remember that well known anthem to betrayal...wherein the sad story is conveyed about how a man’s friend stole his sweetheart away from him while waltzing across the dance floor. Yes...betrayal is an ugly, wretched sin that often constitutes the fodder for ballads and stories of human drama and tragedy. “Et tu, Brute?” goes the age-old line from Shakespeare’s tragedy, Julius Caesar. These words have come to symbolize possibly the most painful and gut wrenching form of betrayal...that carried out by one’s own friend, such as was the case when Brutus stabbed Julius Caesar in the back. Indeed...betrayal seems to be practically the order of the day in the affairs of our people. Nevertheless...it remains one of the most difficult experiences to process and endure. 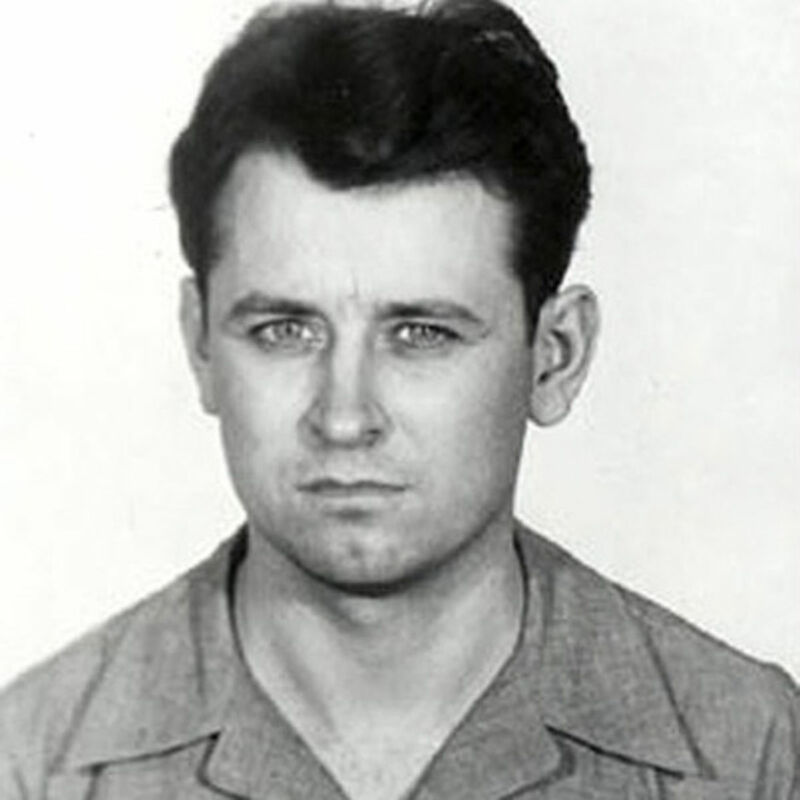 For many years prior to his 1998 death in prison where he was serving a 99 year sentence, James Earl Ray vigorously maintained his innocence in the crime of the assassination of Martin Luther King, Jr. He had never stood trial, having been manipulated and cajoled into a bogus confession. Ray also claimed to have been “handled” for some time leading up to the King assassination by a shadowy figure named Raoul, who provided him with money and instructions as to his movements and activities. According to Ray, however, he had no idea that his handler was positioning him to become the fall guy in the ensuing King murder. In 1985, James Earl Ray became familiar with the plight of F. Tupper Saussy...a man who was being persecuted and prosecuted by the federal government for alleged crimes relating to the filing of income tax returns. Saussy was a gifted writer, musician, playwright, publisher, and educator of his fellow Americans regarding unconstitutional crime being committed in wholesale fashion by the United States government. Having been wrongly and unjustly charged by his own government...Saussy was being honored and supported by a gathering of several hundred fellow-Constitutionists at the Reed House Hotel in Chattanooga, Tennessee. 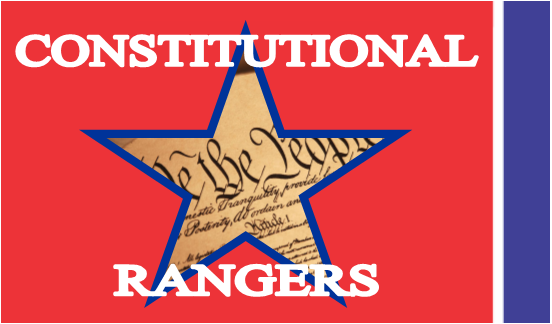 Many high-profile figures in the Constitutional restoration movement were present at this robust and exciting event...myself included. 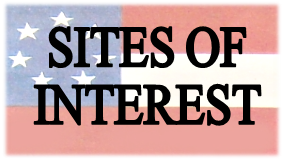 Such movement luminaries as Irwin Schiff, Red Beckman, Bill Benson, Idaho Congressman George Hanson, and IRS whistle-blower Paul Desfosses, were all in attendance...as was a wealthy victim of IRS abuse who had recently been featured on the widely viewed TV news magazine 60 Minutes. William Kilpatrick had spent many millions of his own money to defend against, and ultimately defeat in court, the unscrupulous and criminal tactics of the IRS. He was able to prevail against the government thugs...but only as a result of his ability to expend significant resources in his own determined defense. Kilpatrick went on to provide his own high-octane legal team in the defense of Tupper Saussy. Despite this helpful gesture...Saussy was still convicted on one single count of willful failure to file a tax return...a misdemeanor conviction that, under normal sentencing guidelines, would never warrant incarceration. But, we are getting ahead of ourselves in this tale of treachery and betrayal. You see...from his prison cell...James Earl Ray was following news accounts of the plight of Mr. Saussy and the major confab being held in his honor down the road in Chattanooga. It was at this time that Ray correctly deduced that Saussy might be interested in helping to communicate the damning truth regarding the nature of his own victimization at the hands of betrayal! Ray made contact with Tupper while he was awaiting sentencing and there followed a series of prison interviews whose purpose was to enable Saussy to gain an accurate overview and understanding of what had actually transpired throughout the unfolding of this sordid tale. The result of these interactions was the publication of The Tennessee Waltz...a book containing the no-holds-barred truth of how Ray was handled and set up to become the patsy and fall guy for the MLK assassination. Like the murders of John F. Kennedy and Robert F. Kennedy, the King killing had black op, shadow government fingerprints galore to those schooled in the nuances of how the wicked power structure operates in pursuit of its own diabolical agenda. 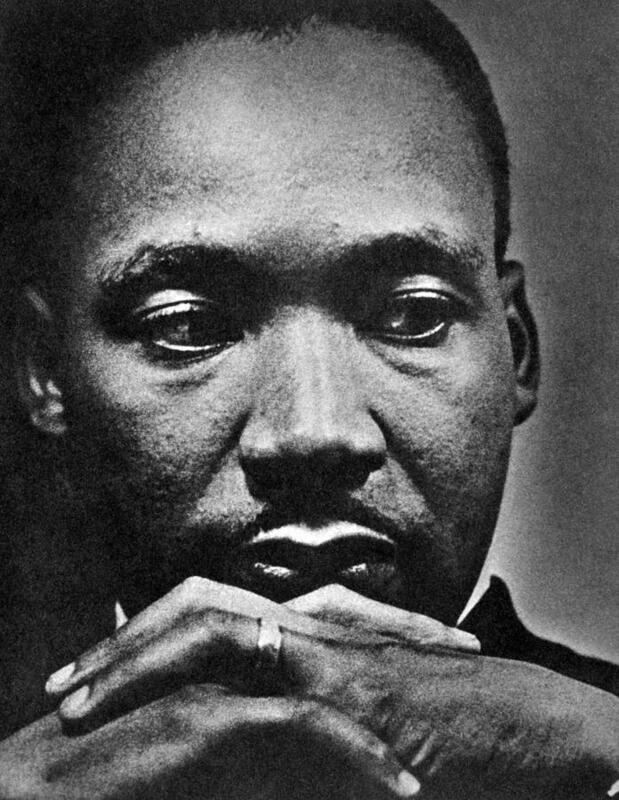 In the case of Martin Luther King, Jr., he was clearly more valuable dead than alive to the globalist agenda that encompasses the necessity of weakening and compromising the integrity of old America...the nation that has formed so mighty a bulwark against new world order tyranny. Yes...King was a mere means to an end...and was slated to become a carefully groomed and prepared martyr around whom tremendous energy and emotion could be skillfully marshalled. With the post-assassination sealing of his FBI file, and the corresponding cover-up of his true duplicity and depravity...the pathway was established for his elevation to the status of veritable demi-god. In his ignominious death, King has been fashioned into the ultimate symbol of false heroism. His fabricated legacy is a house of cards whose survival hinges upon the ongoing ignorance of a brainwashed and gullible public in the utter death grip of debilitating political correctness. The story brought forth in the book, Tennessee Waltz: The Making of An American Political Prisoner, vividly exposes the grotesque betrayal of James Earl Ray, the American people in general, and Martin Luther King, Jr. himself by the cunning powers that be. And...although it failed to bring about the redress of this documented criminality...it served to represent a herculean attempt to reveal truth that is hiding in the open. Ray died in prison in 1998, while the surviving members of the King family expressed continuing doubt as to his guilt in the matter of the Memphis killing. The King FBI file is slated for exposure and declassification in 2027...far enough in the future to make unlikely any chance of its revelations producing retroactive revision of the myriad lies that now make up the fictional narrative of the supposed greatness of one of America’s most notable, contemporary sacrificial lambs. And although he worked so diligently to bring truth to the light of day...Tupper Saussy was betrayed, once again, when his trial judge sentenced him to a year in federal prison...a sentence that he elected to sidestep by dropping out of sight on the day he was scheduled to report to the institution at which he was to commence doing his time. It seems that James Earl Ray, who came close to dying in a June 4th, 1981 prison assault carried out by three black fellow inmates, was successful in convincing Tupper Saussy that, should he show up to serve his time, he would most likely lose his life through the mechanism of an arranged killing. Heeding this warning, Tupper chose to disappear and successfully evaded capture for ten years, until his 1997 apprehension outside his home in Venice Beach, California. Not surprisingly, it was an act of betrayal by a trusted associate that enabled the federal marshals to capture Saussy after a decade of laying low and carrying on his important academic research. Tupper wound up being released from federal custody in 1999, after which he resumed his literary and artistic career. In 2007 Tupper Saussy was found dead in his residence...collapsed over his computer keyboard. His lady friend discovered him after his failure to show up according to prior arrangement. Mysteriously...his door was unlocked when she arrived...an unlikely faux pas for a man who had authored Rulers of Evil: Useful Knowledge About Governing Bodies, a highly informative exposé of the behind the scenes power and machinations of the Vatican, the Jesuits, and the sprawling Roman Catholic Church octopus. Though his death was ruled to have been brought about by natural causes (a heart attack, to be specific), it is widely conjectured that Tupper actually became the unfortunate victim of the very murderous, clandestine power that he so effectively exposed. 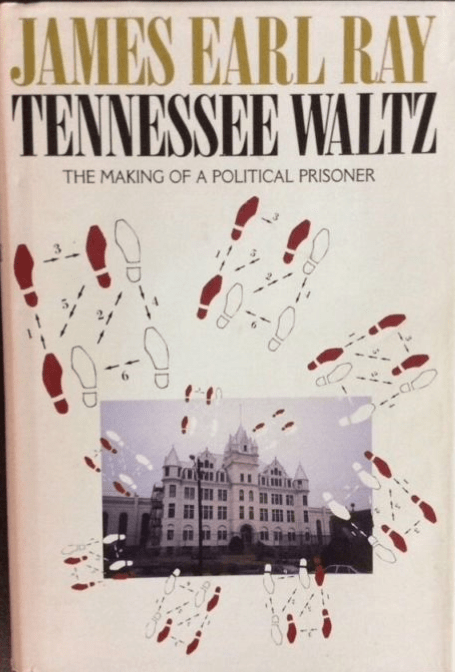 Saussy’s little-known book, Tennessee Waltz: The Making of An American Political Prisoner, provides fascinating insight into the life, experiences and frame-up of James Earl Ray in the matter of the murder of Martin Luther King, Jr. It is both intriguing and revealing to contemplate how the common thread of betrayal links the lives of these three distinct and historically significant individuals. Who is Chris Newton, you might ask? Chris happens to be a native of Southeast Tennessee...and, at one time, earned the distinction of being the youngest person elected to serve in the state legislature. Midway through his sixth term in the Tennessee House of Representatives, it was revealed that Newton had become entangled in an undercover sting operation that was dubbed “Operation Tennessee Waltz.” As the case burst into the limelight, it was revealed that Chris Newton (the only Republican among the indictees) had accepted monetary bribes in exchange for his support of legislation pertaining to a fake entity named E-Cycle, whose ostensible purpose was to recycle electronics by sending them to third world countries. Once thrust into the negative spotlight of media scrutiny, Newton was quick to resign from his legislative office and enter into a plea with the federal prosecutors. He wound up serving nine months of a twelve month sentence in a minimum security facility in Atlanta, Georgia and has proceeded to maintain a low profile in the ensuing years. As the details of the Tennessee Waltz sting operation became known, it struck many of the voters who had elected Newton as odd that he would become entangled with the corruption that involved and was more readily associated with a certain element of the political world whose base and epicenter was the Democratic stronghold of Memphis. Certain of the political figures charged in the case were members of prominent black political dynasties...and many wondered aloud how in the world a young, white Republican representative could find himself in the midst of such classic, shady, governmental corruption. Yes...for some strange reason...Chris Newton was inclined to ingratiate himself to such powerful, black political figures as John Ford...and the tainted realm of alleged impropriety that his ilk was so readily associated with. 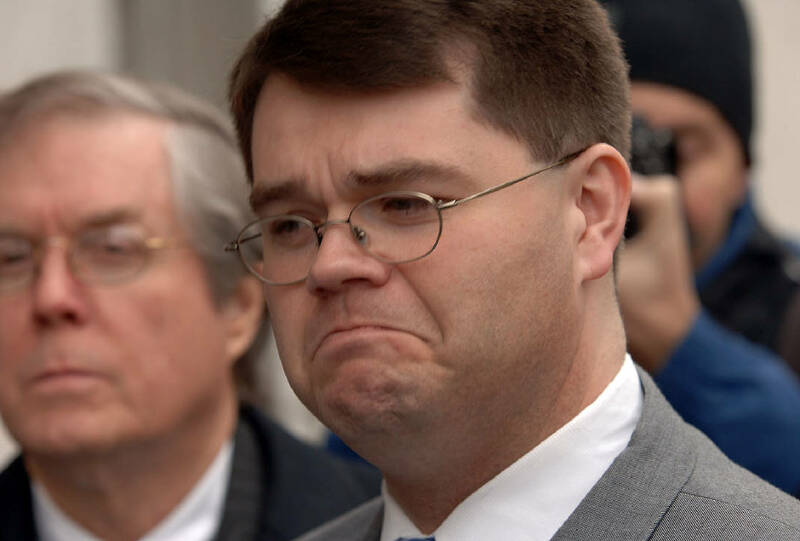 Was Polk County native Chris Newton somehow seeking to assuage his white guilt by endeavoring to curry favor with powerful, black elected officials? Suffice it to say...Chris Newton was widely considered to have betrayed his constituents in his meteoric fall from grace. Redemption At The Expense of Truth? In recent years, Chris Newton spearheaded the formation of a chapter of the Kiwanis Club organization in Polk County, Tennessee. At the time of this event, the local Kiwanis group began holding their regular meetings at the Whitewater Grill in Ocoee. The number of attendees was typically modest...10 to 20 on average...and consisted of many who were already regular customers of the establishment. Throughout the duration of time that the Kiwanis’ gatherings were held at the Whitewater Grill, I had little opportunity to interact with Mr. Newton. He certainly never went out of his way to speak to me. 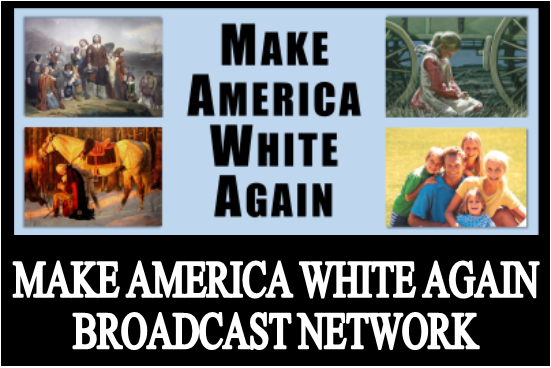 It was most intriguing to witness the manner in which he sought to project himself into the controversy that erupted last June when the Make America White Again billboard was erected on Highway 411 in Polk County. Chris Newton was quick to opine and pontificate in opposition to the message of the billboard...even going so far as to state that he would never again set foot in the Whitewater Grill, and that his Kiwanis chapter would be seeking out a new venue for subsequent meetings. Newton...who chooses to live in a county that is 98.6% white, stressed how Kiwanis was founded and based upon principles of inclusiveness, and that he had nothing but condemnation for what he termed an overtly “racist” message such as Make America White Again. In observing the actions and over-the-top virtue signaling of Chris Newton...the following observations readily come to mind. Although Mr. Newton and his Kiwanis associates always received the utmost in service and consideration from the Whitewater Grill, he thought nothing whatsoever of trashing both myself and the establishment...with no thought whatsoever for truth or reason in the outworking of the controversial firestorm. 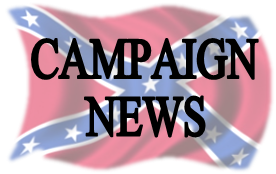 In his actions, Chris Newton demonstrated an extension of that same opportunistic, unprincipled nature that so readily led to his misdeeds during the Tennessee Waltz episode. What was also evident in his actions relative to the Make America White Again controversy, was that Mr. Newton viewed the overall situation as an opportunity to rehabilitate his still tarnished image. To whatever extent this and other observations might be valid...one thing is unequivocally certain. Chris Newton is a man of little courage, character, or vision. He is quick to betray those of his extended racial family who are acting as a voice crying in the wilderness...trying to warn of the dangers that encroach upon us like storm clouds on the horizon. Yes...it appears that Chris Newton has a bad case of white guilt that obscures his ability to think rationally or cogently. His kind of betrayal is the classic model and illustration of what has brought white America to the brink of self-destruction. May God deliver us from the betrayal and abuses of cowardly white men such as Chris Newton! In the not too distant future, the white race will have become totally dispossessed and displaced on the continent their forefathers gallantly settled. Without question...we have betrayed the trust of those racial ancestors who gave their lives, fortunes, and sacred honor to advance the interest of their own biological progeny. 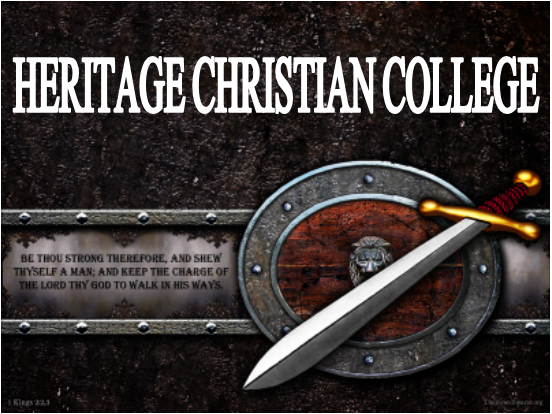 In our modern culture, we sing, write about, and routinely engage in actions of betrayal...against friends, family, and most significantly...the inviolate principles of truth, justice and honor...upon which the foundations of Western Christian civilization are based and established. If our noble forefathers were among us today they would surely be dumbfounded by this audacious level of betrayal that has become the status quo. They would be shocked that their own descendants had become so spineless and devoid of courage as to allow the likes of Martin Luther King, Jr. to become hailed and glorified...despite the sordid details of his actual life and conduct. 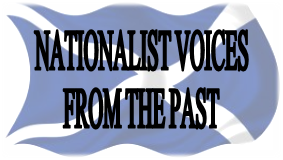 They would be equally shocked that we have tolerated an abusive and tyrannical government that persecutes and tramples upon brave and talented truth-tellers such as the late Tupper Saussy. They would marvel in disbelief at the manner in which we allow manipulative and deceitful powers to routinely foist conspiracies and cover-ups upon the nation...such as in the high profile assassinations of John F. Kennedy, Robert F. Kennedy, and Martin Luther King, Jr. And, finally...they would doubtlessly recoil in disgust at the craven and shameful image of modern, so-called Christian manhood that is personified in the profile of men such as Chris Newton. Michael Luther King, jr. aka Martin Luther King, jr. was a known communist, proven plagiarist, acknowledged woman abuser, infamous adulterer and satanic false preacher. The facts that his FBI dossier had to be hidden for so long is just one of the many proofs of his perfidy. His contemporary, Abernathy, wrote a book detailing many of the vices of MLK, jr.. A professor in England actually used MLK, jr.'s doctoral thesis as an egregious example of plagiarism. The Communist Party had a handler financing and controlling MLK, jr.'s anti-White attack on America. All of this is known to many, but doesn't seem to matter to those blinded sheeple who are truly the Walking Dead. Donald Trump is being sworn in as President of the united States of America as I write this. May YAHWEH guide him in his duty to We, the People.